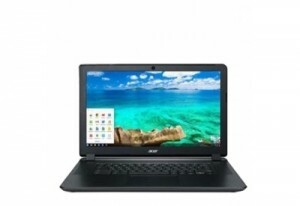 The Acer Chromebook 15 C910 is the biggest thing to happen to the Chromebook. It has some unique and defining features – it’s the first Chromebook with a 15-inch Full HD1 wide viewing angle display, the first Chromebook with the latest Intel processor based on Broadwell micro-architecture, and it uses the new dual-band 802.11ac wireless technology. It all adds up to the right mix of features to make you think bigger and reimagine what’s possible with a Chromebook. More information about Acer Chromebook 15 C910-C37P. Normal starting price is $199 for HD and $299 for FHD IPS.